Get a daily digest of all the high quality items that you missed. Curated by Ofir Kerker 5 months ago. 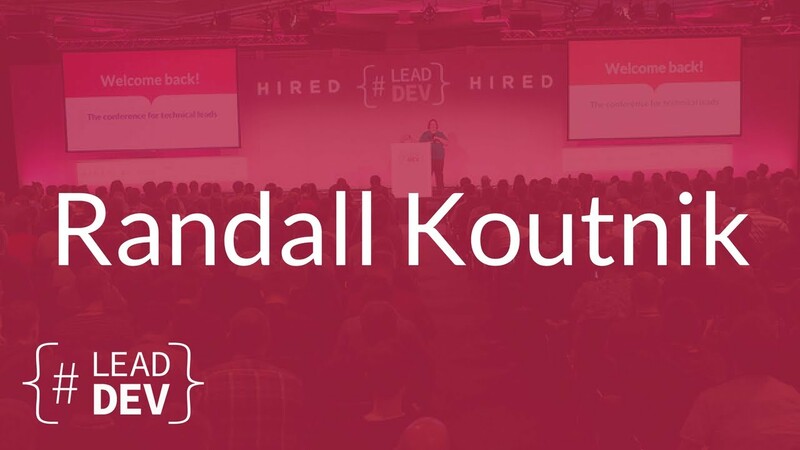 Although Randall Koutnik wears a funny hat, he is very serious about the current broken methods for measuring a developer’s career progression. He suggests that instead of judging a career via vague metrics like time, we’ll focus on a path centered around autonomy and also walks us through his recommendation for three stages of a developer’s life: The Implementer, who’s just learning the ropes and needs careful attention. The Solver, who tackles ever-bigger problems - and needs the responsibility to match. Finally, the Finder, who will revolutionise how you do work but only if you let them. Are you sure you would like to leave the Kapa? Only registered users can MISSING_TEXT. Click here to sign up for free to Kapai and become a member of Software Engineering Leadership. Later, based on your activity, you will gain also voting privileges (VP) to participate and make a difference to the entire Kapa members. Please signup to Kapai to receive a daily email with all the latest items of this Kapa. Use personal invitations when you know the people you're inviting and trust their judgment. To show them you value their opinion, grant them some voting power. Used to verify that transferred reputation arrives to the right people. Please paste the url of the item you would like to add. We will automatically fetch the item information from the specified web page. Please describe why you think that's a relevant item.